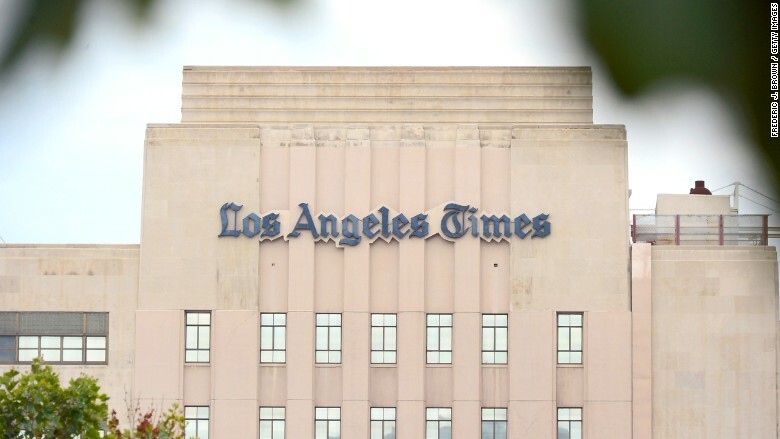 The Los Angeles Times said Monday that Lewis DVorkin will become its new editor-in-chief, nearly two months after a major shakeup at the newspaper. DVorkin joins the Times from Forbes Media, where he most recently served as chief product officer of the financial news hub after having worked there some years before. He has also held editing roles at the Wall Street Journal and the New York Times. In a press release announcing the hire, Los Angeles Times Media Group CEO and publisher Ross Levinsohn called DVorkin "one of the most transformational editors and digital innovators in the media industry." "He knows how to build a competitive, sustainable media business with global clout while preserving the highest standards of journalistic integrity," Levinsohn said. Levinsohn took over as publisher and CEO in August in the wake up of leadership changes in the Los Angeles Times newsroom. Davan Maharaj, who had served as publisher and top editor, was sacked, as were several of his deputies. Maharaj was said to have had a tense relationship with Justin Dearborn, the CEO of the Los Angeles Times' parent company, Tronc. In his second stint with Forbes, which began in 2010, DVorkin took steps to change the company and its culture to adapt to digital realities. Some of those efforts, which included increased native advertising and a vast network of contributors who supplied the magazine's website with content, were controversial, both at Forbes and in the larger journalism world.